New Delhi - Country's largest car-maker Maruti Suzuki India (MSI) on Thursday reported a 20.8 percent increase in total sales in December at 1,09,791 units. 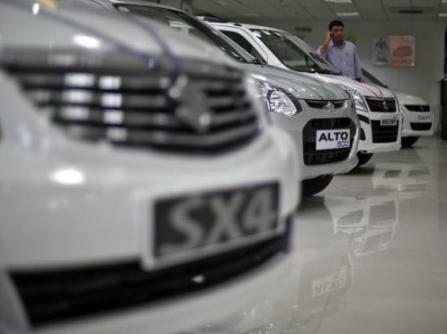 The car maker had reported sales of 90,924 units in the same month last year. 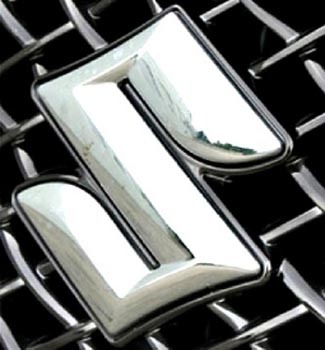 Following the release of strong sales numbers, shares of Maruti were trading 0.50 percent higher at Rs 3,344 in an otherwise weak general market. The company said its domestic sales increased by 13.3 percent during the month to 98,109 units as against 86,613 units in December, 2013. Exports during the month rose by nearly three-fold to 11,682 units compared to 4,311 units in December last year, MSI said in a statement. 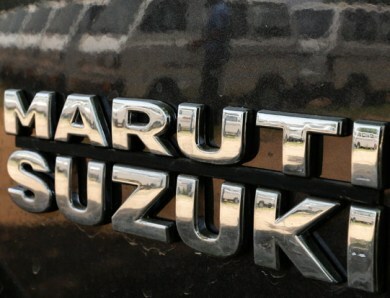 New Delhi: Country' largest car maker Maruti Suzuki India is set for a record sales in 2014 at over 11.48 lakh units driven by growth across segments but it expressed concerns that a hike in excise duty could hurt the overall auto industry. The company is awaiting a clarity on the amendment to the Company's Act before going ahead with the minority shareholders' voting on its plans to let parent Suzuki Motor Corp own and invest at the upcoming Gujarat plant. New Delhi - Country's largest car-maker Maruti Suzuki India (MSI) on Saturday reported a 1.1 per cent decline in total sales in October at 1,03,973 units as against 1,05,087 units in the same month last year. The company said its domestic sales rose by 1 per cent during the month to 97,069 units as against 96,062 units in October, 2013. Sales of mini segment cars, including M800, Alto, A-Star and WagonR, declined by 9.2 per cent to 35,753 units compared to 39,379 units in the year-ago month, MSI said in a statement. Gurgaon - Country's largest carmaker Maruti Suzuki India (MSI) on Monday launched mid-sized sedan Ciaz with an introductory price starting at Rs 6.99 lakh (ex-showroom Delhi). The petrol variants of the sedan are priced between Rs 6.99 lakh and Rs 9.34 lakh while the diesel variants are priced between Rs 8.04 lakh and Rs 9.8 lakh, respectively (ex-showroom Delhi). "Millions of Indians have enjoyed Maruti cars for years. These customers are looking to upgrade to mid-sized sedans. Ciaz is for them, " MSI Managing Director and CEO Kenichi Ayukawa told reporters here. He added that the company has been able to achieve localisation content of 98 percent for the car. New Delhi - The country's largest carmaker Maruti Suzuki India today reported 4.6 percent increase in its total sales in September 2014 at 1,09,742 units as against 1,04,964 units in the same month previous year. Domestic sales during the month stood at 99,290 units, up 9.8 percent from 90,399 units in September previous year, Maruti Suzuki India (MSI) said in a statement. 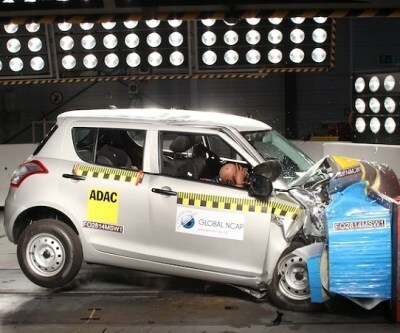 Sales of mini passenger cars, including Alto, A-Star and WagonR were down 13.4 percent at 35,547 units as against 41,061 units in the same month previous year. New Delhi: Stating India has the potential to become the biggest car manufacturer of the world, country's top car maker Maruti Suzuki on Thursday hoped factors adversely affecting competitiveness of manufacturing will be removed quickly, in line with Prime Minister Narendra Modi's call to make India a manufacturing hub. "Costs of production in India increase because of various government policies, procedures, regulations and the way some of the laws are implemented," said Kenichi Ayukawa, Managing Director and CEO, Maruti Suzuki India Ltd, at the 'Make in India' campaign. 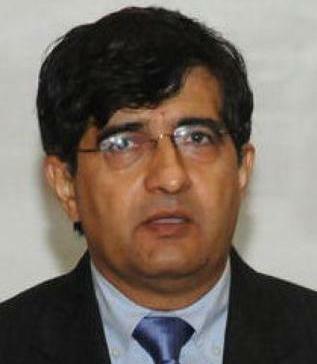 New Delhi: Maruti Suzuki India's marketing and sales head Mayank Pareek has quit the company after nearly 20 years of service at the country's largest carmaker. While Pareek, who is designated Chief Operating Officer (marketing and sales), could not be reached for comments, however, according to people familiar with the development, he has put in papers to pursue 'better opportunities'. It is speculated that he may join homegrown auto major Tata Motors, which has been seeking a revival in fortunes in the passenger cars segment. New Delhi: Country's largest car maker Maruti Suzuki India plans to roll out its light commercial vehicles (LCV) project on a limited scale, a top company executive said on Friday. "We will begin the LCV project on a very limited scale and take the initiative forward by understanding the marketing and sales experience. We will slowly roll out it as we do not want to rush into it. The commercial vehicle sector is a new sector for us," Maruti Suzuki India (MSI) Chairman R C Bhargava said on the sidelines of SIAM Annual Convention. New Delhi: Seeking to make a mark in the big car segment, the country's largest car maker Maruti Suzuki India will open bookings of its upcoming mid-sized sedan Ciaz from tomorrow. Ciaz will be available in petrol and Diesel fuel options powered by a 1.4 litre and 1.3 litre engines respectively. 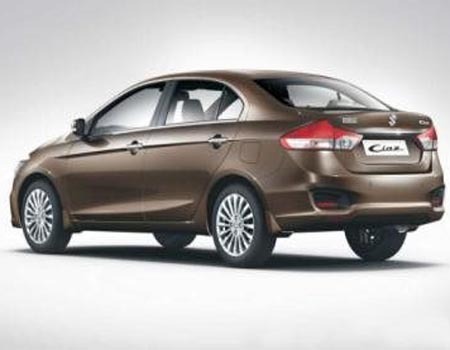 "The global launch of Ciaz is planned during the forthcoming festival season," the company said in a statement. Ciaz' main competitors will be Honda City, priced between Rs 7.19 lakh and Rs 11.05 lakh, and Hyundai Verna tagged between Rs 7.39 lakh and Rs 11.72 lakh (ex showroom Delhi). New Delhi: The country's largest car-maker Maruti Suzuki India on Monday reported 26.9 percent increase in its total sales in August at 1,10,776 units as against 87,323 units in the same month of previous year. Domestic sales during the month stood at 98,304 units, up 29.3 percent from 76,018 units in August of previous year, Maruti Suzuki India (MSI) said in a statement. Sales of mini passenger cars, including Alto, A-Star and WagonR were up 8.3 percent at 34,686 units as against 32,019 units in the previous year. 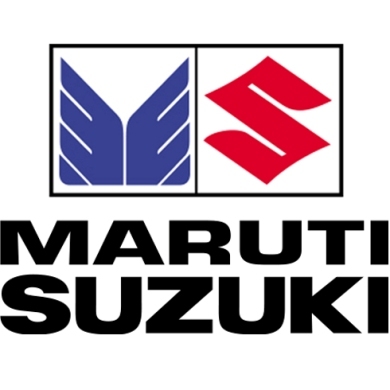 The country's largest carmaker Maruti Suzuki India expects voting by minority shareholders to happen sometime in October for approval of its plans to let parent Suzuki Motor Corp own a proposed new plant in Gujarat. "We haven't yet fixed a date. 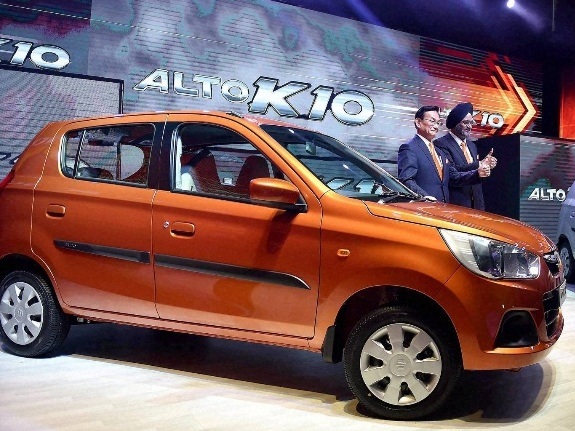 It could be in October probably but not certain yet," Maruti Suzuki India (MSI) Chairman R C Bhargava told reporters here. Speaking on the sidelines of a lecture in memory of the company's executive Awanish Dev, who was killed in worker violence at the company's plant in Manesar in 2012, Bhargava said MSI's move on the Gujarat plant would be beneficial to its shareholders. New Delhi: Country's largest car-maker Maruti Suzuki India (MSI) today reported 21.7 percent increase in its total sales for July at 1,01,380 units as against 83,299 units in the same month last year. The company said its domestic sales rose 19.9 percent during the month to 90,093 units as against 75,145 units in July 2013. 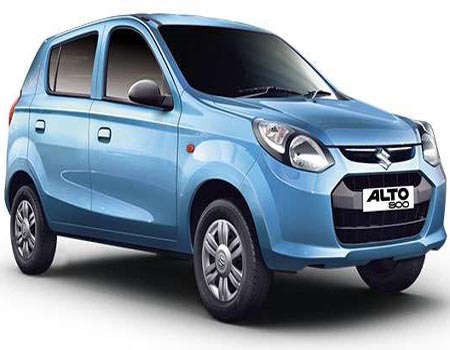 Sales of mini segment cars, including Alto, A-Star and WagonR, declined 14.4 percent to 28,759 units as compared to 33,587 units in the year-ago month, MSI said in a statement. 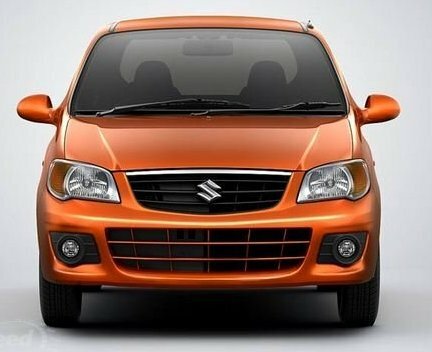 New Delhi: The country's largest carmaker Maruti Suzuki India (MSI) is looking to increase the supply of auto gear shift version of its latest compact hatchback Celerio to reduce the waiting period that currently stands at about four months. Since its launch in February, the company has so far received bookings for over 57,800 units of Celerio, out of which 43 percent (25,000) are units with automated manual transmission (AMT) technology. "We continue to try and increase the supply of the auto gear shift (Celerio) cars," a spokesperson of MSI said. New Delhi: Buoyed by excise duty reduction, domestic car sales saw an upswing in June with major firms, Maruti Suzuki, Hyundai, Honda, Mahindra & Mahindra, Toyota and Ford reporting growth. Yet others such as General Motors India and Tata Motors reported decline in their domestic sales during the month. The country's largest car-maker Maruti Suzuki India (MSI) said its domestic sales rose 31 percent during the month to 1,00,964 units as against 77,002 units in June 2013.